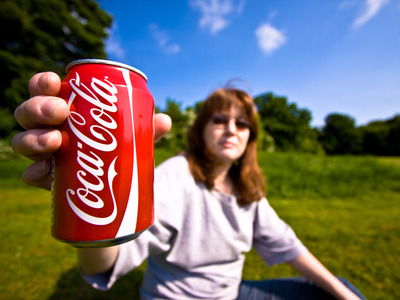 Paul Reynolds/FlickrCoca-Cola shut down buzz about the beverage giant entering the CBD space. Coca-ColaCEO James Quincey said on Tuesday that the beverage giant doesn’t “have any plans at this stage” to enter the CBD market. In September, Bloomberg News reported that Coca-Cola was in discussions with Aurora Cannabis to develop beverages infused with CBD, one of the non-psychoactive compounds found in cannabis. In the weeks since, the beverage industry has been abuzz with rumours about other companies considering similar deals and discussion of the impact of CBD and legalised cannabis on the beverage industry more generally. The legalised weed market could exceed the market for soft drinks by 2030 as Americans ditch soda. Coca-Cola shut down buzz that the beverage giant is eyeing the legal marijuana market in the immediate future. “We don’t have any plans at this stage” to enter the CBD market, Quincey said. In September, Bloomberg News reported that Coca-Cola was in discussions with Aurora Cannabis to develop beverages infused with CBD. On Tuesday, Quincey seemed to throw cold water on industry buzz regarding a potential deal between Coca-Cola and a CBD maker in the near future. CBD is already a booming, $US1 billion business, and it is being used as an ingredient in salves, oils, balms, and beverages, despite continuing legal questions. Beverage giants investing in CBD-infused drinks could result in the creation of a new mainstream category of beverage. As people drink less soda, Coca-Cola has been working to diversify its portfolio. Some industry insiders believed that CBD could be a crucial opportunity to get a foothold in a swiftly growing market. If marijuana is made legal nationwide in the US by 2030, the legal weed industry could generate $US75 billion in sales by that year, according to a note from investment bank Cowen. In 2017, the soda industry brought in $US76.4 billion in sales,Bloomberg reports.